Yamaha UTV News. Get the Latest Info on Models, Accessories, and More. This is the place for the latest Yamaha UTV news. Coverage of all the newest models, accessories, and more for Yamaha Side by Sides. 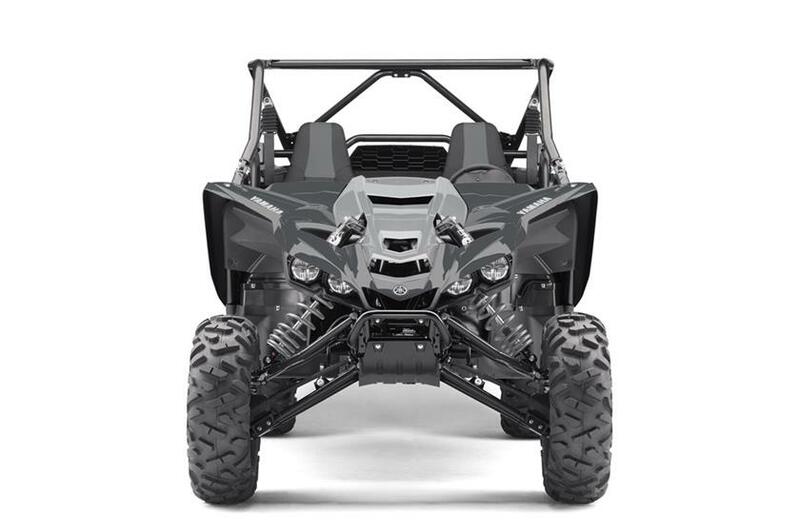 2019 Yamaha YXZ 1000R - The pure sport model gets some significant updates. Powertrain - Lower gearing in first gear for more technical low speed riding and better performance on tight trails. Heavier duty internal engine components to handle the optional turbo kit. Cooling System - features a new rear-mounted radiator: this system not only reduces heat in the cabin, it remains clear of mud or debris build-up, and is designed to funnel cool air through the radiator at low or high speeds equally well. New Wheels and Suspension - FOX 2.5 Podium RC2 Shocks with piggyback reservoirs. 29-inch Maxxis Bighorn tires. All four corners are fully adjustable—spring preload, rebound and both high- and low-speed compression damping—with 16.2 inches of front travel and 17.0 inches at the rear for ride quality, tuneability, and handling. Larger All-Wheel Disc Brakes - Bigger diameter brake rotors for more power and better feel. New Styling - An updated frame allows sharper styling from nose to tail, better driver visibility with the low hood design. 2019 Yamaha Wolverine X2 - Yamaha releases an all new Wolverine available in June, 2018. 847cc DOHC, eight-valve, parallel twin-cylinder motor. The engine features a dry-sump design for a more compact layout and offset cylinder block to reduce friction loss, while rubber engine mounts and a geared counterbalancer ensures smooth running from idle to redline. An automatic centrifugal clutch maintains constant belt tension for reduced belt wear and a sprag clutch delivers natural all-wheel engine braking. In the Wolverine X2, a robust clutching system features an oversized belt for durability under aggressive riding, while still maintaining low cruising rpm for smooth, quiet running. Yamaha’s On-Command 4WD system lets you switch between 2WD, limited-slip 4WD and a fully locked differential 4WD. On-Command puts the driver in full control to make the most of available traction in any sort of terrain. Designed for maneuverability, with lightweight steering to select the ideal line when tackling obstacles. With an upswept underbody design and wide-arc A-arms, the Wolverine X2 has big approach and departure angles to clear challenging terrain, with plenty of clearance to get in and out of the most remote areas. The Wolverine X2 engine utilizes a drive-by-wire system that converts the driver’s commands into precise throttle control. Throttle response is further improved thanks to a ‘high-response’ servo motor for ultrafast throttle application. Yamaha’s Electric Power Steering (EPS) provides the best balance of steering assist and positive feedback from the trail, with light steering, speed-sensitive steering response, and minimal fatigue. The Wolverine X2 features well-damped suspension at all four corners, for improved chassis control and handling feel. Built for Yamaha by KYB®, these shocks give the X2 a flexible, balanced ride character, for cargo carrying or trail blasting. Large 207mm vented disc brakes with two-piston calipers on all four wheels. The Wolverine X2 features an all-new tilting cargo bed. The bed transports up to 600 pounds, with multiple tie-down points to secure cargo or attach accessories. 2,000 pounds of towing capacity. 2-in receiver. 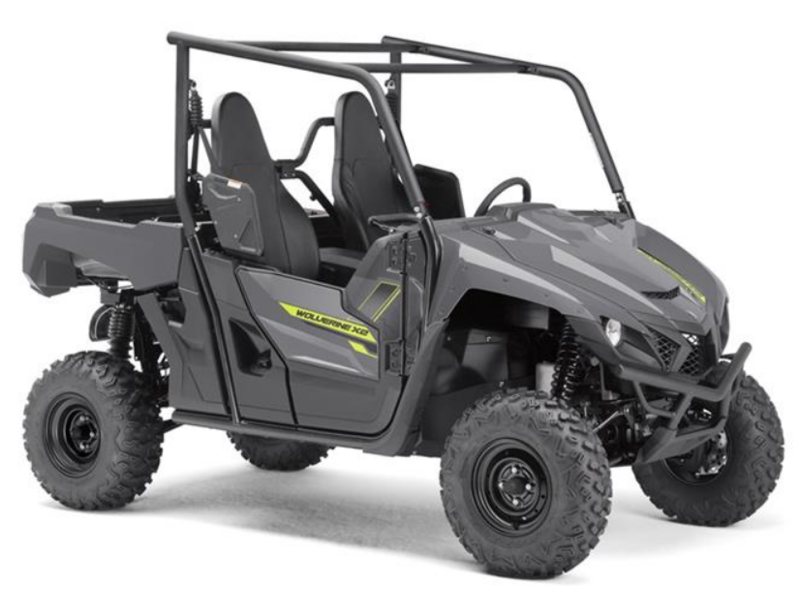 The Wolverine X2 comes pre-wired for Yamaha’s exclusive Adventure Pro GPS system. This state-of-the-art GPS unit combines a range of functions into a single rugged 7-in full-color display. Search, download, record and share trail routes. With Yamaha’s uniquely integrated software, the Adventure Pro system also communicates with the Wolverine’s ECU to display vehicle data and warnings. Detailed review of the 2019 Wolverine X2 - Covers all three models. Standard, R Spec, and R Spec SE. Yamaha Viking Review - Full review of the 2014 Viking. Yamaha Viking VI Review - 2015 six passenger side by side. Yamaha Rhinos for Sale - Great deals on all year models.